Collagen VIII Alpha 1 antibody LS-C693570 is an FITC-conjugated rabbit polyclonal antibody to mouse Collagen VIII Alpha 1 (COL8A1). Validated for WB. 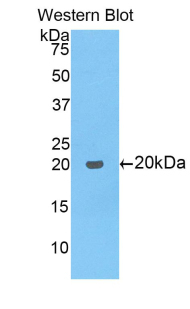 Recombinant COL8a1 (Glu583-Pro743) expressed in E. coli.